Last year, Sarah, a freshman at PC came to the New Year's Conference thinking she was a Christian and hoping that attending the conference would make her look more spiritual. Little did she know that God would use one of the seminars to show her the depth of her sin and call her to himself. She describes it this way, "Never had I️ ever heard the Gospel in such a simple and biblical way, and through my staff woman, God revealed to me that being a Christian is not about being good, it’s about being broken and praising God for it. I️ wanted to be saved because I️ couldn’t believe what Christ did for me, and on that day, December 31, 2017, I️ died and let God become the King of my life. I️ now know and believe Jesus did the good that I️ could never do and died the death I️ should have died. He is my savior, and I️ owe him my life." Because of her experience, Sarah is bringing two girls with her from her team this year that desire to learn and grow! Many of us know firsthand what an impact an event like the Campus Outreach New Year’s Conference can have on a college student. Many of us even have a story similar to Sarah’s. Would you consider partnering with us so that more students can have that experience this year? As a region, our staff have been praying for 200 students from 7 campuses to attend this year’s conference. Many of those students are still investigating whether or not they want to place their faith in Jesus and follow Him with their life. Some of those are on the fence about attending the conference because of financial reasons. Like the friends of the paralytic in Luke 5, we want to remove every barrier possible that would keep them from experiencing Jesus, including the $255 cost of attending the conference. 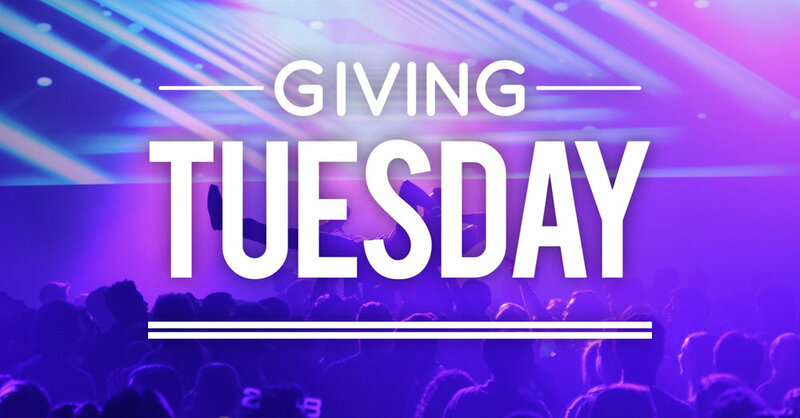 As the end of the year and Giving Tuesday approach us, would you consider making a gift of $50, $100, $150, or $200 to help scholarship a student to the conference? It could literally change their life forever! If so, visit cogreenville.org/giving to make a one-time gift towards the cost of a student’s conference. Choose “One Time Gift” to give without creating an account and then choose “Events” and “Conference Budget” from the following drop down menus. As always, your transaction will be conducted over a secure connection and you will receive a year-end tax receipt for charitable giving reporting. Thanks for joining with us for this New Year’s Conference in accomplishing the goal of students coming to faith in Jesus and building laborers for the world! New Video Series: "For the World"
We’re excited about our video series titled, “For the World.” These videos introduce individuals that have recently graduated from our ministry, they explain what that individual is doing post college and more importantly, why they’re doing it. We’re excited to capture these stories and show them because these individuals deserve to be celebrated and the next generation needs to see examples of people making intentional decisions to prioritize Christ and his mission! We’re praying that these videos would cause other students to consider and imitate their faith and the way they are choosing to live their lives. I’m continually reminded just how plentiful the harvest is. You don’t have to go very far to see just how needy and broken the world is. Jesus tells us in Matthew 9 (vs. 37) that what the world needs most is laborers, laborers that are convinced of what Jesus said, “It’s more blessed to give than to receive” and are committed to what Paul said in Acts 20, “I do not account my life of any value nor as precious to myself, if only I may finish my course and the ministry that I received from the Lord Jesus, to testify to the gospel of the grace of God” (vs. 24)” Please join us in thanking God for the lives represented in these videos as well as praying with us for God to raise up and send out more of these individuals for the world! We are starting a new series where we ask our staff, students, and alumni what books, music, and more they would recommend to others. In this edition, we asked some of our staff what book has stuck with them recently, and this is what they said. This book breaks down the unhealthy ways we view God and helps us give application on daily habits that will help people walk with a bigger view of God. The book deals with guilt and shame. It’s the best book I have ever read on this topic, and it is transforming my relationship with the Lord every day. I loved this book because it revealed my love and appreciation for authors who can share and unpack Biblical truths as well as show how clinical data reflects and displays those same truths. This book was really instrumental for me in grasping the depth of the gospel and the staggering implications of God sending His Son to take our place on the cross. Even after walking with Christ for a while, this book helped me to see the gospel in a whole new light, and has helped me tremendously in understanding and being able to explain it in a clearer and deeper way. I was raised in a Christian home, but I never understood what it meant to have a relationship with Christ until I got to college and surrounded myself with guys and mentors who loved me and kept me accountable. I struggled freshmen year with identity and eventually hit rock bottom during the middle of spring. It was over spring break that year that I rededicated my life to Christ and started thinking with eternity in mind. I committed to Leadership Project, and for the last three years my life has been changed because I know Christ and He knows me. HOW HAS YOUR TIME IN COLLEGE SHAPED YOUR FAITH? When it comes to my faith, college has provided everything that I needed, starting with community. I found a core group of guys early on in freshmen year who began keeping me accountable. When I became a true follower of Christ, I was surrounded by like-minded individuals who were passionate about their own faith as well as aiding the walks of those beside them. Together we learned about how to read scripture, why it's important to pray, how to steward our time, how to share the gospel, etc. I have learned to think more eternally not only for myself but for others. WHAT IS YOUR VISION FOR YOUR LIFE AFTER COLLEGE? I want to find community as soon as possible and use whatever platform God gives me to share his love with those around me. WHAT ADVICE DO YOU HAVE FOR YOUR FELLOW STUDENTS? Find a solid group of girls or guys who will walk with you throughout college. Be vulnerable, serve wholeheartedly and don't waste your time on trivial matters. We are not here for very long, so make the best of it!